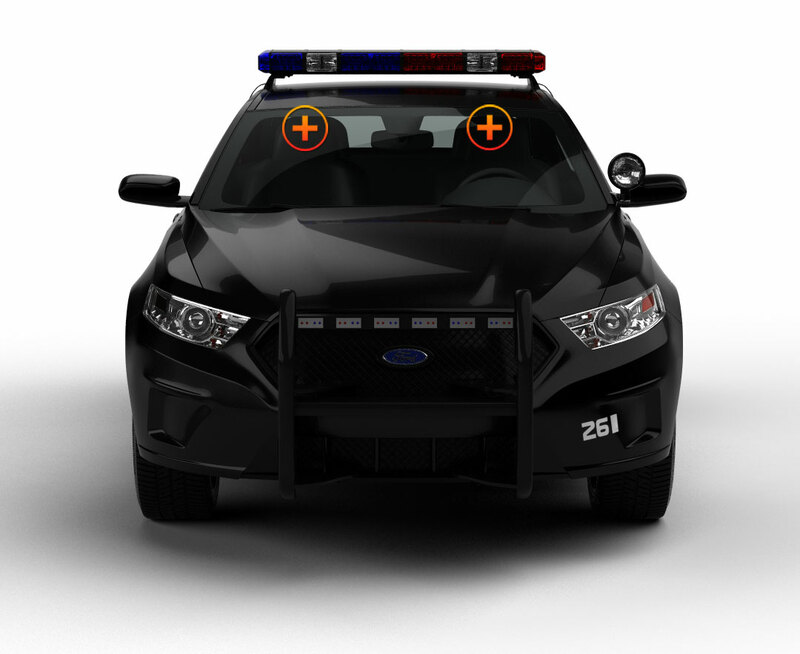 The LED Stealth Commander is ETD’s brightest and most powerful visor light, our #1 BEST Seller, and certainly Commands full attention in any critical emergency or civil situation with its 90 Watts of flashing, colorful light. The digital controller fits between the two visor sections, which are installed with universal mounting brackets, in place of the visors. Directing traffic is a smooth, efficient operation when the controls are at arm’s reach. The layout of the digital controller makes it quick and easy to turn the Commander into a fully directional traffic advisor. With a push of a button, 90 luminous Generation III 1-Watt bulbs perform the light-pattern maneuvers that you designate, and each of the 26 flash patterns that is in use is shown on the back of the control display. The Commander is housed in durable polycarbonate units with linear lenses that spread the lights even wider and farther than a normal TIR lens. Optional takedown lights give you an extra boost as a spotlight at just $20. The power cord plugs into the lighter socket and comes with a 9’ wire. The Stealth Commander is a powerhouse emergency visor light bar that ensures steadfast dependability when you want to come out of hiding and flood an area with light. When a pair of Undercover 4 TIR surface mounts are added to the Commander range, the illumination dynamics of the light package are vastly increased because the TIR lenses provide intense ‘focused’ light in addition to the linear light spread. A much wider area is flooded with light whether you are stopped on the side of the road, at an accident scene, or directing traffic. Each light head has 4 Generation IV 3 Watt LEDs; that’s 24 Watts for the pair or +/- 1440 lumens, depending on the temperature. 19 Strobe patterns are standard and the lights have pattern memory. 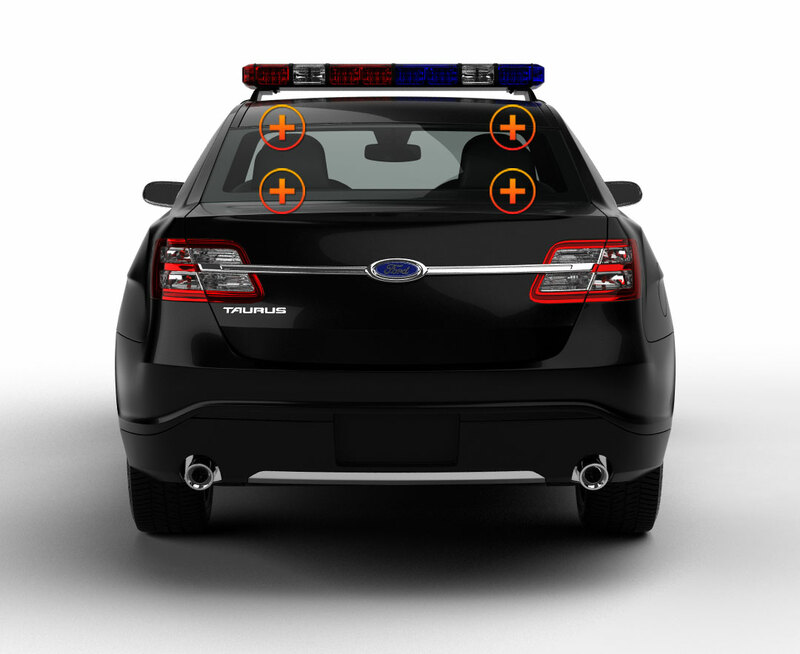 Mount the 8’s on any flat surface high or low, on running boards, grilles, bumpers, or racks, even on side view mirrors, because both housings and lenses are made of shatterproof polycarbonate. These are hardwired to an existing light system and come pre-wired for easy installation. Extreme Tactical Dynamics is here for YOU! We are determined to give our valued customers the best lights for the best prices, to provide SUPERB customer service, and to give you information in our Knowledge Base that helps you select the right lights for the job you’re doing. We are ALWAYS ready to answer any questions, guide you through an installation process, or just ‘TALK LIGHTS’ with you. You can contact us right here on our site, or on your favorite social network.